Little Simz' debut album has us excited. There is a Stillness in Wonderland Album, Comic book, AND Film, so there is no wonder that Little Simz grew as an artist through the process. It really is a piece of art, just as Solange's A Seat at the Table is. *We recommend watching the film before listening to the album - context is everything. Here's a pretty fun Christmas Mix courtesy of Mayer Hawthorne. For all you friends who are too busy eating to playlist some carols. Iron Phoenix “Natty Dread Christmas"
It's BINGE number 17 time! These are all about taking the time to binge out on some good new musics. As always, we have posted some standouts below. --> Thought we would open this latest BINGE with a fun little ditty from long time favourite, Tom Misch. I mean seriously, is there anything he hasn't released that has fallen short? 'Artist' is keeping his standards high. --> "Happy With U" makes me want to daydream lying in a field covered in sunshine. In other words: Eli Way + Ian Ewing + Naji = completely lovely. --> Smile like 'Mona Lisa' with Soulection's Monte Booker and Naji. --> 'I'm Juiced' is the first single off of Adam Vida's forthcoming 2017 project. It is produced by the wonderful Mr Carmack and gosh does it get us going. Love love love this track! --> We are loving the sounds coming from Baltimore's hip hop collective Mobtown. After you listen to their track 'Project 16' they will no doubt be on your radar too. Check out our soundcloud for more BINGEing time. Go on, treat yo self! She is the South Londoner who copped a Best Newcomer nomination at the MOBO awards after releasing a solid three tracks. 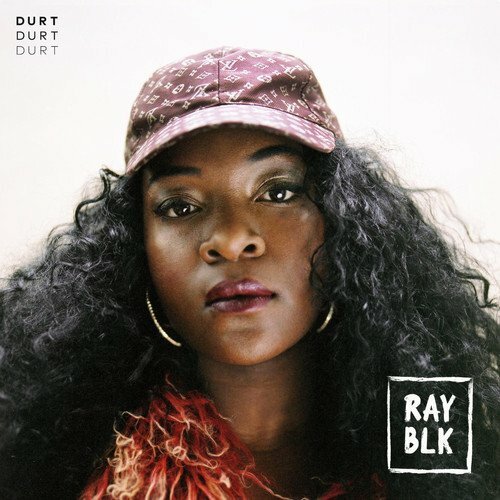 RAY BLK is now out with her mini album Durt in which she tells of her home town with Stormzy in 'My Hood', mesmerises the listener with smooth vocals in '50/50' and throughout the entire project speaks about all those challenges that come from being female in a world that hates on feminism. 2017 will be a big year for this ladylord. 18 year old, Drew Vogelsang is a Philadelphia bedroom music maker. Check out his latest release 'July' and, our favourite, his cover of James Vincent McMorrow's 'Cavalier' - and while you're there, we think he deserves a few more follows, so send through your love. The future is bright for Mr Vogelsang. Last month Christopher Port gifted us with an understatedly powerful two-track. It took me by surprise and blew me away. Take ten minutes to listen, feel alive, set new life goals, call your mum and thank sweet Jesus for this Melbourne man. I think 'Sum 1' is my favourite out of the two (hard call to make) but that sample of Whitney HOuston singing in 'His Eye is on the Sparrow' hits me right in the feels - almost as much as the Mississippi Children's Choir version of the 1905 gospel hit. Hailing from Melbourne, Fractures is a multi-instrumentalist that makes you stop, sit and listen. We think that his new track "Fall Harder" is one for that repeat button. Luckily for some aussies, he will be touring is forthcoming debut album Still Here early next year. -- Featuring Kali Uchis, "Get You" got him getting his Barry White serenading on. -- And "Japanese Denim" is equally delicious (those 3:35 vocals!). No complaints here. Willow Smith (Wilough) has dropped a casual three-track project titled Mellifluous. For us mere mortals: 'Mellifluous' pretty much means something that sounds sweet and/or pleasant. In other words, it sounds the way honey tastes. Even though it is somewhat early days for the London-based (half-Scottish) duo Majik, their new track 'Real' shows enough maturity and captivating depth to be a standalone for the band. And then again, 2015 Majik tracks were just as well developed - they remind me a lot of Movement actually. We are big fans, and recommend enjoying the above with headphones and a wintery stroll. When it is as chill as early days Joey Bada$$ but has influences ranging from Outkast to Mobb Deep then it's gotta be worth the listen right? Ash Shakur is a man to watch - not only is he a killer English rapper and illustrator, but he seems to be happy too (sidenote: I'm hoping that positivity in hip hop is making a serious comeback). 'SHINE' is the opener for his forthcoming HARE COLOURS EP and if you like the vibes as much as us then you will want to straight up download his early 2016 HARE THIS EP also. We love it when some really easy listening hits our Inbox. Shukura Chapman is Australian based, New Zealand raised, UK born singer-songwriter/one-woman-band and she released her single 'One By One' in September. If you enjoy it then be sure to check out her EP Rearview too ('Release Me' is an absolute jam).